Citizens, government officials and organizations that advocate for women and families in the region are invited to attend and encouraged to participate. Let us know about issues that are important to you, your children, your family, your community and across the Cape and Islands. Oral and written testimony will be accepted. 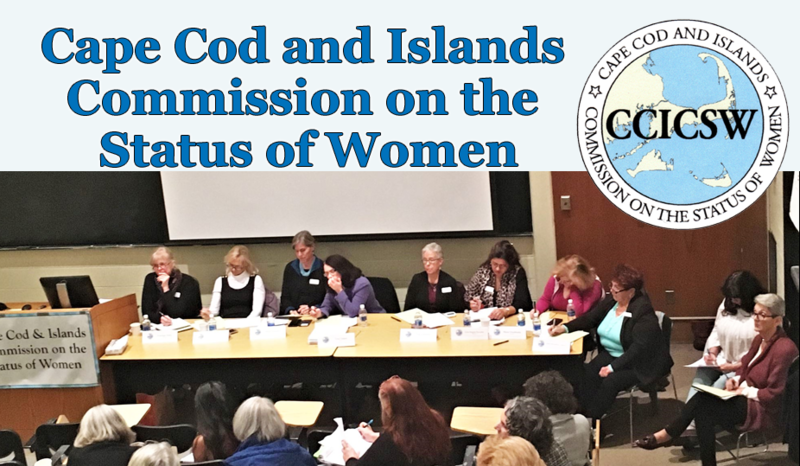 For more information email capeandislandswomenscommission@gmail.com or call Pam Pollock at 508-965-6927. Directions: From the Midcape Highway (Route 6): Follow Route 6 to Exit 10. From the West, take a left off of the exit onto Route 124. From the East, take a right off the exit onto Route 124. You will quickly come to a 4-way stoplight. Take a left at the light onto Queen Anne Road. Once on Queen Anne, take your third right onto Oak Street. Follow Oak Street for about 1 mile. The Community Center is on the right-hand ride, directly across the street from the High School.